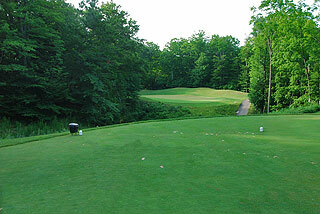 The Ravines Golf Course is a par 72, 6885 yard design that presents a nice golf opportunity with excellent value for the western region of Indiana. Located about 9 miles from West Lafayette, the Ravines is an 18-hole championship course designed to provide an enjoyable golf experience for all levels of players. 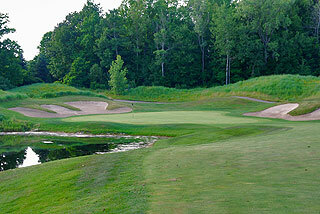 The front side is very open, with links style holes playing next to corn fields and prairie land. 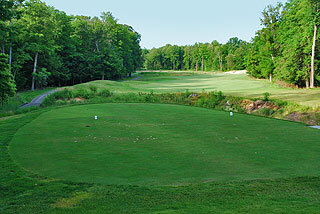 The back side presents a more wooded landscape, and numbers twelve and thirteen both play over ravines off the tee. Water comes into play on five holes, including the par five 18th. This # 5 handicap ends with a daunting approach over a pond, to a well bunkered green complex fronted by a rock retaining wall. 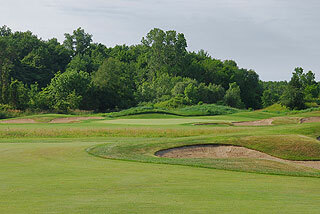 In total, there are 37 sand bunkers, located along the landing zones of the generous fairways, or situated greenside. Pin placement sheets are mounted on the golf carts, and 100, 150 and 200 yard markers are located on the fairways and are posted on cart paths on all par fours and fives. "To the Green" GPS is also standard on all golf carts. There are 4 sets of tee areas playing in distance and slope to 6899 yards/121 slope, 6173 yards/114 slope, 5639 yards/109 slope and 4947 yards with a slope of 103 from the forward tees. As these rating indicate, the Ravines is a player friendly design, and is an enjoyable walking experience. 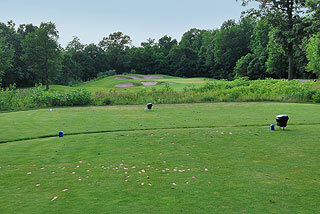 There is some trouble, but most golfers should be able to score their handicap or better here. 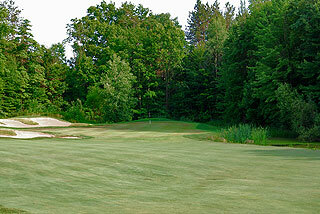 On property is a large driving range with sand bunkers, plus a practice green. 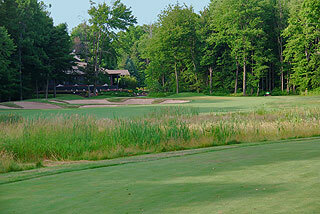 The clubhouse features a pro shop & snack area, and a pavilion is available for outings and events. 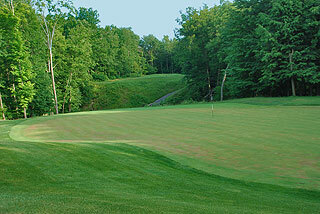 Prices including cart on weekends in 2006 topped out at $36 - making this a very affordable golf experience. For more info, visit our page fro the property, with direct link to their website by clicking here.